The 2017 Subaru Legacy is a roomy, high-tech sedan that offers a sleek profile and elegant details. Like all Subaru vehicles, all-wheel drive comes standard on the 2017 Subaru Legacy, a completely unique feature for a sedan. With top safety scores and two powerful engine options, the 2017 Subaru Legacy offers an incredible driving experience you'll love! 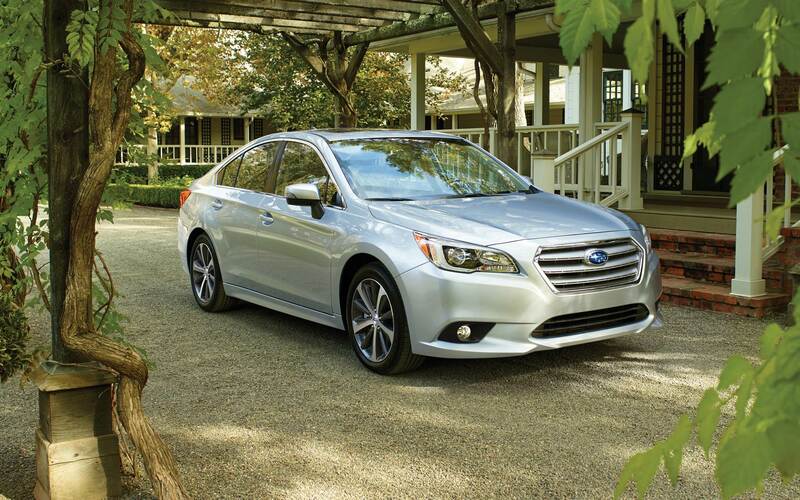 Read on to learn more about the 2017 Subaru Legacy! The 2017 Subaru Legacy is a powerful vehicle, with two engine options based on the model type you choose. The five trim levels denote the engine type, with the trim name numbers indicating the engine available. The 2017 Subaru Legacy is available as the 2017 Subaru Legacy 2.5i, 2017 Subaru Legacy 2.5i Premium, 2017 Subaru Legacy 2.5i Sport, 2017 Subaru Legacy 2.5i Limited and 2017 Subaru Legacy 3.6R Limited. The 2.5i trims come with a 2.5-liter horizontally opposed four-cylinder engine that produces 175 horsepower and 174 lb-ft of torque. The EPA estimates the fuel economy of the 2017 Subaru Legacy at 34 highway-miles to the gallon, an incredible feat considering all Subaru vehicles have all-wheel drive. The 2017 Subaru Legacy 3.6R comes with a 3.6-liter six-cylinder engine that generates 256 horsepower and 247 lb-ft of torque. The 2017 Subaru Legacy offers excellent power regardless of engine choice! The 2017 Subaru Legacy is an all-weather vehicle, made more stable by the all-wheel-drive that comes standard on all Subaru vehicles. The simple and straightforward interior delivers on quality materials and comfortable touch-points. Touchscreen navigation systems are optional but intuitive, and controls are easily accessible for the driver and front-seat passengers. 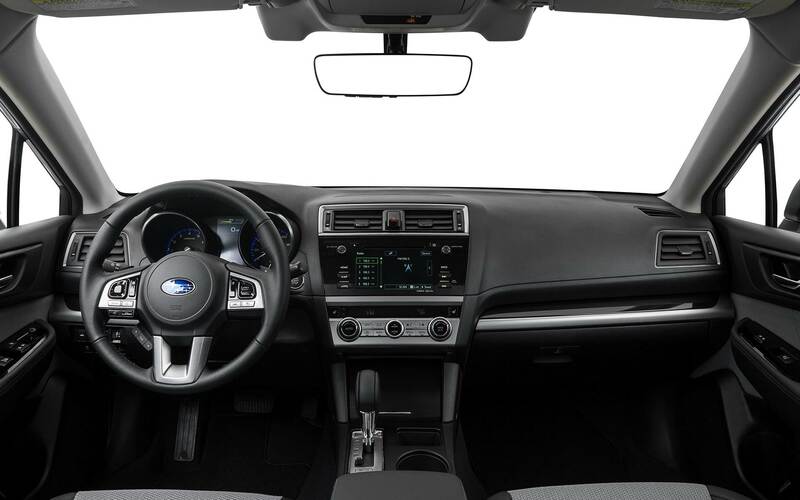 Standard features on all 2017 Subaru Legacy models include automatic headlights, air-conditioning, a rear-view back-up camera, a tilt-and-telescoping steering wheel, 60/40 split folding rear seats and a 6.2-inch Subaru "Starlink" interface with touchscreen controls and Bluetooth/USB integrated four-speaker sound system. The USB port, auxiliary audio jack, CD player, iPod interface and HD/satellite radio systems are sure to please even the most ardent audiophile! Upgrading to the 2017 Subaru Legacy 2.5i Premium trim adds the All-Weather package, with heated front seats, heated mirrors, dual-zone automatic climate controls, a larger 7-inch Starlink touchscreen, additional smartphone services, an emergency communications telematics system and optional sunroof. The 2017 Subaru Legacy 2.5i Sport package adds foglights, keyless entry and ignition and an auto-dimming rear-view mirror. The 2017 Subaru Legacy 2.5i Limited upgrades the suspension for a softer ride, while adding an eight-way power driver seat, heated rear seats and a blind-spot warning system. The 2017 Subaru Legacy 3.6R Limited is only distinguishable by its turbocharged engine and xenon headlights. All 2017 Subaru Legacy trim levels except the base offer an optional navigation system and the EyeSight Driver Assist Technology safety suite. Choose your favorite features and enjoy the incredible versatility and smooth drive of the 2017 Subaru Legacy. Is the rear-view back-up camera standard on the 2017 Subaru Legacy? Yes! Drive safer with a standard rear-view back-up camera, now found on all 2017 Subaru Legacy vehicles! What does it mean to be "Subaru Certified"? Every Pre-Owned Subaru undergoes a rigorous 152-Point Inspection before it can be "Subaru Certified"! Learn More About Subaru Certified Vehicles! Can I get parts for my Subaru vehicles at your location? Yes! We offer parts and accessories built specifically for Subaru vehicles! Find & Order Your Part Online! The 2017 Subaru Legacy comes standard with a suite of safety and security features designed to protect your most precious cargo. Standard with stability and traction controls, antilock disc brakes, a rear-view back-up camera and airbags found on the front, side and seat, the 2017 Subaru Legacy provides peace of mind every time you leave your driveway. The 2017 Subaru Legacy Premium and Limited trim levels offer Starlink Connected Services, which include emergency assistance and automatic collision notification. The optional Safety Plus and Security Plus upgrades can also add remote vehicle access, remote vehicle locating and stolen vehicle recovery to the 2017 Subaru Legacy. 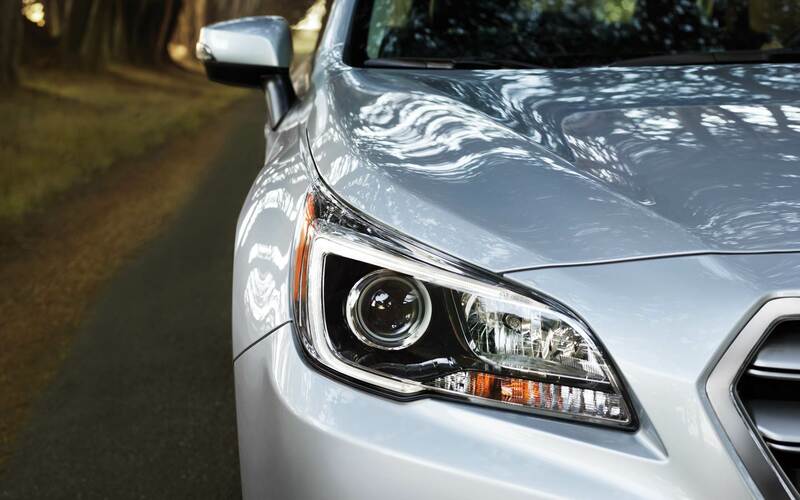 The EyeSight Driver Assist Technology package outfits the 2017 Subaru Legacy with forward collision warnings, pedestrian detection functions, automatic and reverse automatic braking and lane departure warning with automatic intervention. The 2017 Subaru Legacy is a fantastic, family-friendly vehicle that provides powerful acceleration and all-weather stability! Come in to our convenient Downingtown, PA location today to test drive the 2017 Subaru Legacy for yourself!